Srikant Jena claimed that he would expose the Congress president to such an extent that the latter would "not be able to show his face in public". Srikant Jena said Rahul Gandhi chose to stand with mining mafias and Patnaik brothers. Mr Jena has also claimed that he would expose the Congress president to such an extent that the latter would "not be able to show his face in public". "I am glad that I am relieved from the responsibility of remaining in the Congress party. I had written many letters to Rahul Gandhi asking whether he will stand with Patnaik brothers and mining mafias or with the people of Odisha," Mr Jena told a press conference. Annoyed over his expulsion from the Congress, he said: "Rahul Gandhi chose to stand with mining mafias and Patnaik brothers. This is not expulsion, I had already written a letter requesting him to accept my proposition or else relieve me from the party. I wanted to expose him but he has exposed himself." 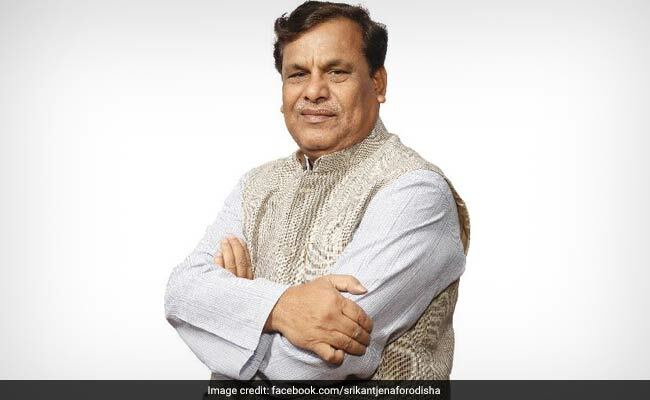 On Friday, Srikant Jena, along with former Koraput MLA Krushna Chandra Sagaria, was expelled from the primary membership of the Congress for alleged "anti-party activities" by the Odisha unit of the Congress, following recommendations from the All India Congress Committee (AICC). Mr Jena has also claimed that Rahul Gandhi had also decided that the governance of Odisha should remain with the Patnaik family. The former Congress leader said that he will campaign everywhere and expose the Congress president. "This is just the beginning. On January 25, I will give certain facts. The full country will know what Rahul Gandhi is and what he is protecting," he said.